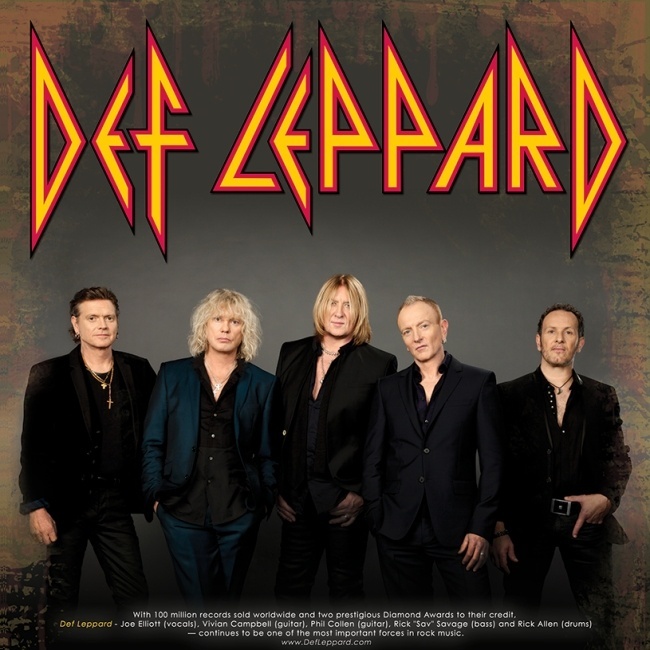 Def Leppard will announce more 2015 world tour dates very soon according to guitarist Vivian Campbell. Five headline shows were announced earlier today for the Czech Republic and Germany in May 2015. Vivian has commented that many more are coming soon. The 2008 UK tour was announced in January. These may be next with June seeming quite likely based on Joe's tour comments in September - "And I think what we're gonna do is start on the other end of the world. Australia/Japan. Work our way back through Europe and then hit the States maybe July/August.". Joe and Phil told Planet Rock in September the tour would include the UK. Vivian left hospital recently following his Stem Cell treatment/surgery in California. "2015 is shaping up to be a very busy year for the Lepps. More tour dates coming very soon!."